Harry Dean Stanton | WHAT A FEELING! The story of Uforia, which is to say, the story behind Uforia, is yet another tale of studio neglect and little-film-vs.-the-system fighting. The movie was made in 1980, and has languished in limbo since. It turned up for a single showing at the 1985 Seattle International Film Festival, at a Harry Dean Stanton tribute (which gamely went on when Stanton couldn’t make it). Late last year, Uforia was booked at a single screen in New York City and did surprisingly decent business. So, the little comedy is traveling around the country, trying to build up steam (much like another unreleasable Stanton movie, Repo Man). Uforia is so determinedly low-key in its pleasures, it’s not difficult to see why the film was a hard sell. It’s a low-rent fable about a batch of small-timers who band together in a small California desert town and decide to believe in something. They come to believe in flying saucers, or at least the imminent arrival of same. 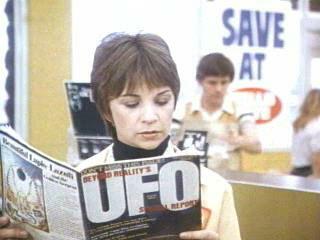 A check-out girl (Cindy Williams) at the local supermarket is a staunch believer, and she has visions that the aliens—friendly ones—are coming to take a few humans with them. She sees herself as the Noah of the intergalactic Ark. He’s hooked up with Brother Bud (Stanton), a sly itinerant preacher who runs “Brother Bud’s Why Not Salvation Crusade” in tents on the outskirts of town. When Williams starts seeing the aliens in her dreams, Brother Bud sees a way of fleecing the believers, and he promptly options the desert hilltop where Williams insists the extraterrestrials are going to land. Writer-director John Binder evokes the good feeling of a Frank Capra comedy, and litters his desert landscape with goofy supporting characters, such as the granola couple who name their child Krishna Jesus (“You don’t think that’s too heavy?”), and the benign tourists who claim to have been mesmerized by aliens. Binder is splendid at capturing the everyday quality of life. He’s not quite as effective at structuring his story. And he’s painted himself into something of a corner with the flying saucer business; it means his ending has to be fantastic, or disappointing, or both. 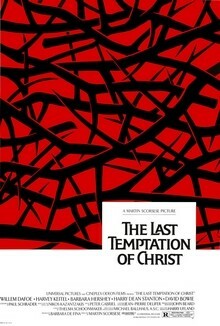 It’s Binder’s first directorial effort (he’d worked on the screenplays of Honeysuckle Rose and North Dallas Forty). I don’t know what he’s been doing since 1980—tyring to get the film released, maybe—but I hope he isn’t completely soured on filmmaking. He’s got a gift for making characters, or the recognizably terrestrial variety, come alive, and that’s much too valuable a talent to lie fallow. Here’s a mostly forgotten Eighties artifact: it has now passed through initial neglect to brief appreciation to neglect again. I saw it again on cable-TV in the late 1980s and thought it held up really nicely—just a delightful little picture with a strong echo of Melvin and Howard-era Jonathan Demme to it. Whoever John Binder is, he put something rather lovely together with this one. You know Repo Man is going to be good when you figure out that its most demented character—an auto-repossession worker (Tracey Walter) who gives every indication of missing a frontal lobe or two—is the only person who really knows what’s going on. Not in a specific way, mind you. But this whacked-out creature has a theory of the way the universe works. He wonders why, for instance, when you think about a plate of shrimp, that somebody always mentions shrimp, or a plate, or a plate of shrimp, within the next few days—that suddenly all you hear about is shrimp? It’s proof that there really is order in the scattered, fragmented world of Repo Man. It would be silly—and beside the point—to summarize the plot, which isn’t particularly important to the movie. But, for the record: It begins with a scientist (I think), on the lam from the nuclear tests at Los Alamos, who drives his radioactive car (carrying the corpses of some extraterrestrials in the trunk) into Los Angeles—where else? And there’s this kid named Otto Maddux (say it out loud), played by Emilio Estevez, Martin Sheen’s son. He needs a job and gets hooked up with some repo men, retrieving cars when the payments go overdue. The leader of these repo men is played by Harry Dean Stanton, the pock-marked, rat-faced supporting actor who has become a central figure in the history of low-life cinema. The movie includes their repossession adventures, Otto’s punk friends performing random crimes, and a new romance for Otto with a girl who has an odd interest in aliens. But it’s really a mad crazy-quilt for the punk age, a cornucopia of absurd events that start to make sense after a while. Repo Man has bits and pieces flying all over the place; it can’t quite hold up under the strain of trying to tie them all together, and it falls apart near the end. But it’s fun getting there. The film is the brainchild of a British-born, California-educated man named Alex Cox, whose first feature this is. 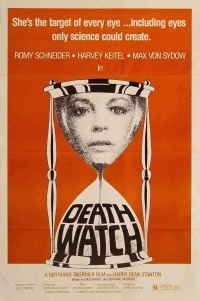 Cox clearly has a lively visual imagination (he’s helped by the great German cinematographer, Robby Muller), and a good sense of pace. His dialogue ranges from the loopily brilliant (like Tracey Walter’s ruminations) to the relentlessly profane. And he knows whereof he speaks. After he went to film school, Cox worked for a while as an auto-repossessor in Los Angeles. Coming from that strange business, it must have seemed normal to jump into the surreal world of Repo Man. That doesn’t quite explain the plate of shrimp. But I know this much: They’re out there, these shrimp, plates, and plates of shrimp. Don’t be surprised when you start noticing them. First published in the Herald, 1984. This was awfully fun when it first arrived – and still is, sure, but really was then. Stanton was having his apotheosis (Paris, Texas was happening, too) and he turned away from the sleazy roles he’d been perfecting for so long. Which was kind of a shame, although you get why he’d do that.